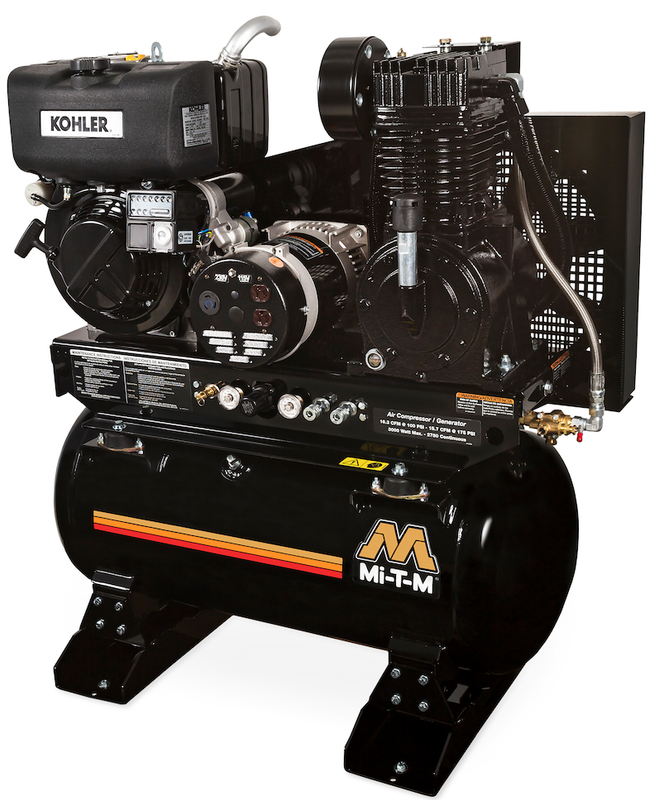 The new air compressor/generator features a 9.1-HP Kohler KD420 diesel overhead valve engine with electric start and glow plugs for easy starting in cold temperatures. The unit includes a 3,000-watt generator and two stage compressor with a powder coated ASME coded 30-gallon receiver tank. The built-in air compressor features a splash lubricated compressor pump, large canister intake filter, regulator and two gauges for tank and outlet pressure and a 16 1⁄2- inch fly wheel. It’s built to provide high capacity air flow to power a multitude of air tools.